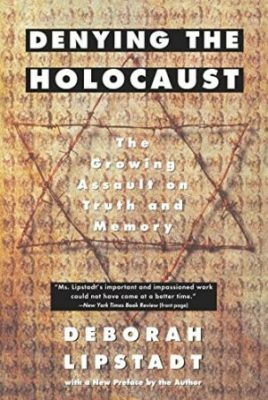 This article is composed of material adapted from Chapter 3 of Germar Rudolf’s recent book, FAIL: “Denying the Holocaust” How Deborah Lipstadt Botched Her Attempt to Demonstrate the Growing Assault on Truth and Memory. 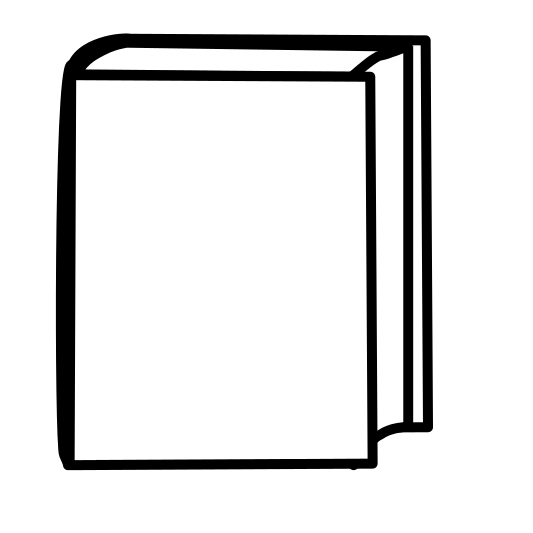 Read the Introduction to the book here . Dr. Lipstadt uses the terms “antisemitism,” “antisemite” and “antisemitic” 182 times in her book Denying the Holocaust, so on average almost on every single page of it. Lipstadt’s book is even copyrighted by “The Vidal Sassoon International Center for the Study of Anti-Semitism, The Hebrew University of Jerusalem,” according to the imprint. Hence battling anti-Semitism is what the book is mainly about. Holocaust denial is nothing but antisemitism. Pretty much everybody she discusses, and every sincere dissent ever expressed about the mainstream Holocaust narrative, gets hit with the accusation of being anti-Semitic. There is therefore no way of dodging it, short of total acquiescence. The accusation of anti-Semitism is one of the worst ad hominem attacks possible. It is meant to disparage opponents by giving others the impression that they are morally so depraved that even listening to them is beyond acceptable behavior. It’s the best strategy Dr. Lipstadt can possibly come up with to immunize her pet theory from any critical scrutiny. And she’s making ample use of it. An anti-Semite is someone who dislikes or even hates people simply because they are Jews. But that’s not the way it is frequently used. Criticizing aspects of the Jewish religion, which is just as legitimate as criticizing Islam or Christianity, is also frequently lumped into that category. The same happens to those who criticize Jewish power and influence, although it is just as legitimate as criticizing Catholic, Muslim or White Anglo-Saxon Protestant power and influence. The same is true for criticizing Zionism as Jewish nationalism with at-times-racist excesses, which is just as legitimate as criticizing any other form of nationalism resulting in unacceptable excesses. Yet anyone who engages in these kinds of criticism of Jewish affairs has to inevitably expect to be wrongly stigmatized as an anti-Semite. It’s a catch-all defamation designed to protect Jewish and Zionist activities from any kind of scrutiny and criticism. Although I have no doubt that there are revisionists who harbor anti-Semitic views (see Chapter 4), that does not mean that all revisionists are anti-Semites. That would be like saying that, because all squares are rectangles, all rectangles are squares. But that’s exactly what Dr. Lipstadt is doing. Logic isn’t her strength, or else it’s a nuisance and an obstacle for her agenda, so she discards it. When I got involved in revisionism in 1989, first passively by reading some of their works, then in 1990 also actively by doing some private research in an attempt to verify some aspects of the Leuchter Report (3) Fred Leuchter, Robert Faurisson, Germar Rudolf, The Leuchter Report: Critial Edition, 4th ed., (Uckfield: Castle Hill Publishers, 2015) , Jews were merely the ancient Chosen People of the Old Testament to me as a practicing Catholic, and also the heroes of the 1973 war of the Arab nations against Israel. I remember reenacting that war as a boy with my brother with our toy tanks. We beat the crap out of those evil Arabs! Other than that, I had no opinion about them at all. Then, as other revisionists learned about my research activities, one of them started sending me “information” about the Jews. I was rather disgusted by what I thought was anti-Semitic propaganda material, and I eventually threw it all away. It was only sometime in 1992 that I started connecting the dots. I had seen the importance of revisionism for German history all along, but only then did it dawn on me that it must have an equally intense, although opposite effect on Jewish history. It took the decision of a German court of law, however, to make me look into that issue more thoroughly. It happened in 1995, when I was sentenced to 14 months’ imprisonment for my forensic research activities. (4) See the appendix to my forensic study The Rudolf Report: Expert Report on Chemical and Technical Aspects of the “Gas Chambers” of Auschwitz, 2nd ed., (Washington, D.C.: The Barnes Review, 2011). (holocausthandbooks.com/dl/02-trr.pdf; Sept. 1, 2016), as well as my book Resistance Is Obligatory, op. cit (note 13). In the verdict, the court called me an anti-Semite, although I was utterly unaware of what that meant, apart from the obvious. So I started to do some research into the history of and reasons for anti-Jewish sentiments. That hasn’t made me an expert on this, but I know enough to be able to alert the reader to two pertinent studies by an Israeli scholar and Holocaust veteran which I can recommend, if the reader is interested in this issue. (5) Israel Shahak, Jewish History, Jewish Religion: The Weight of Three Thousand Years, 2nd ed., (London: Pluto Press, 2008); idem, Norton Mezvinsky, Jewish Fundamentalism in Israel, Pluto Press, London 1999. When reading these books, the reader will find out, probably to his surprise, that there are actually plenty of rational reasons for opposing certain aspects of certain emanations of the Jewish religion. Of course that does not justify hating people merely because they are Jews, but if anyone wants to understand anti-Semitism which ultimately led to Auschwitz, there is no way around addressing these issues. All those who are not interested in learning about the history of and reasons for anti-Jewish sentiments have the right to remain ignorant, of course. Such deliberate ignorance, however, can hardly be the basis upon which to judge other people and their views. More important, we must remember that we are dealing with an irrational phenomenon that is rooted in one of the oldest hatreds, antisemitism. Although a sweeping statement like that is wrong, let me stress right away that the actually existing rational aspects of anti-Semitism in no way justify what happened under Hitler, whatever that was in detail. Depriving individuals of their civil rights has to be based on their individual and proven guilt, not because their parents signed them up for a belief system without their consent. The deniers’ worldview is no more bizarre than that enshrined in the Protocols of the Elders of Zion, a report purporting to be the text of a secret plan to establish Jewish world supremacy. The deniers draw inspiration from the Protocols, which has enjoyed a sustained and vibrant life despite the fact it has long been proved a forgery. In fact, when it was originally published in France in the mid-nineteenth century, Jews did not appear in the book at all. Only at the beginning of [the twentieth] century was it rewritten with Jews as the primary culprits. She brings up the Protocols six times in her book, proving her own obsession with it (pp. 24, 37, 136, 152, 164, 206). Now, I’ve been at the center of revisionist publishing efforts since the mid-1990s, and not a single time did the Protocols show up in any context whatsoever that I can remember. It’s simply not a topic discussed in revisionist publications. Not even in discussions among revisionists, public or private, has it ever come up that I am aware of. In 1989, I accidentally ran into a German translation of the Protocols’ “original” novel version of the mid-nineteenth century, as Dr. Lipstadt puts it, in which Jews are indeed not mentioned at all. The book upset me, but since it was clearly fictitious with no indication that any of its outrageous claims were true, I eventually simply threw it away. Only later did I learn that a different version of this novel exists which claims to be a real protocol by Jewish elders. I never read that, though, and I’m not considering ever wasting my time on it either. I must admit, however, that the most-prolific revisionist author of the past 25 years, the Italian Carlo Mattogno, wrote a paper about the Protocols in Italian in 2010, which was reformatted into a book and republished in 2014. (6) Carlo Mattogno, “I falsi “Falsi Protocolli”: Scopo e significato dei “Protocolli dei Savi Anziani di Sion”, May 27, 2010, olodogma.com/wordpress/2014/03/26/0631 (Aug. 31, 2016); idem, Il Mistero Dei Protocolli Di Sion, (Raleigh, N.C.: Lulu, 2014); amazon.com/dp/1291884904. If you read Italian and want to spend time on this, be my guest. An anti-Semite used to mean a man who hated Jews. Now it means a man who is hated by Jews. That may not be true in all cases, but it sure hits the nail on the head when it comes to Dr. Lipstadt’s attitude.